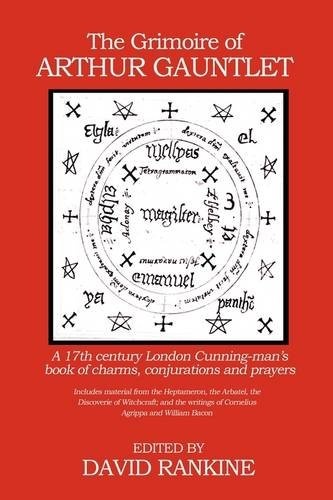 The Grimoire of Arthur Gauntlet is an outstanding example of a seventeenth century London Cunning-man's book of practice. Cunning-folk were practitioners of magic and herbal medicine who dealt with problems in their local communities. Cunning-man Arthur Gauntlet was based in Gray's Inn Lane in London, and his personal working book contains a fascinating diverse mixture of herbal remedies, prayers, magical and biblical charms, with previously unseen angelic conjurations and magic circles, in an eclectic blend of practical magic for health, wealth, love and protection. This unique manuscript demonstrates both the diverse and spiritual nature of such Cunning-folk's books of practice, as well as their magical emphasis on Biblical scripture, particularly the Psalms, and their opposition to witchcraft, found in charms and conjurations. Arthur Gauntlet worked with a female skryer called Sarah Skelhorn, and drew on numerous preceding sources for his craft, including the Arbatel, the Heptameron, Folger Vb.26, The Discoverie of Witchcraft, the Book of Gold, the writings of the German magus Cornelius Agrippa, the astrologer William Bacon and Queen Elizabeth I's court astrologer Dr. John Dee, as well as other London Cunning-folk. 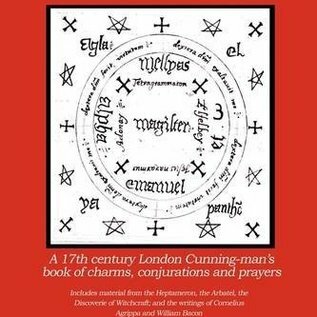 In his introduction, the author provides fresh insights into the hidden world of seventeenth century magical London, exploring the web of connections between astrologers, cunning-folk and magicians, playwrights, authors and church figures. These connections are also highlighted by the provenance of the manuscript, which is traced from Arthur Gauntlet through the hands of such notable angel magicians as Elias Ashmole (founder of the world's first public museum, the Ashmolean in Oxford), Baron Somers (the Lord Chancellor), Sir Joseph Jekyll (Master of the Rolls) and Sir Hans Sloane (founder of the British Museum), as well as the astrologer John Humphreys and the cunning-woman Ann Savadge. This is a unique work which draws attention to the often neglected place of women in seventeenth century magic, both as practitioners (such as skryers and Cunning-women), and customers. It also emphasises the vital and influential role played by Cunning-Men and Women in synthesising and transmitting the magical traditions of medieval Britain into the subsequent centuries, as well as their willingness to conjure a wide range of spiritual creatures to achieve results for their clients, including angels, demons, fairies, and the dead.